Our first stop is to see the Bahamian Rock Iguanas; secluded on their very own island in paradise. From there we head to the main attraction at Big Major Cay (a.k.a. 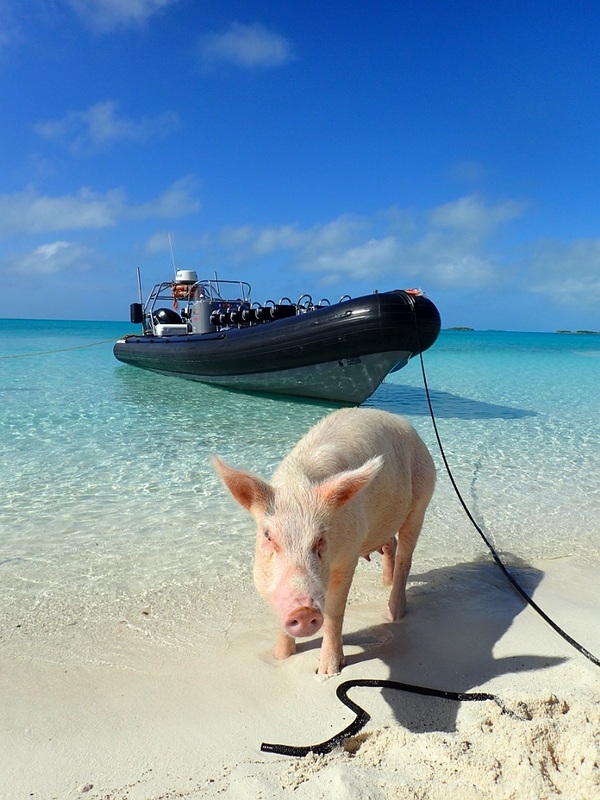 'Pig Beach'), home to the world-famous Swimming Pigs! 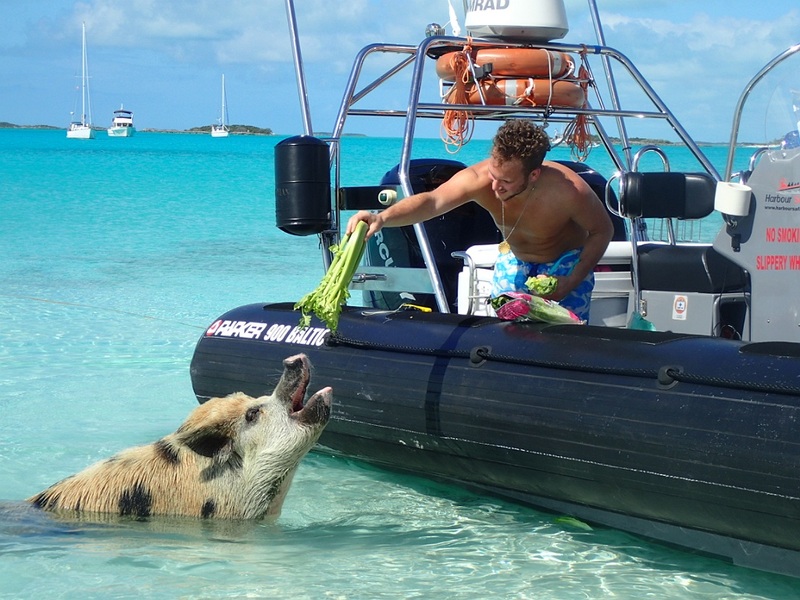 Enjoy interacting with these guys, feeding them, and listening to them tell tales of being marooned on an island! 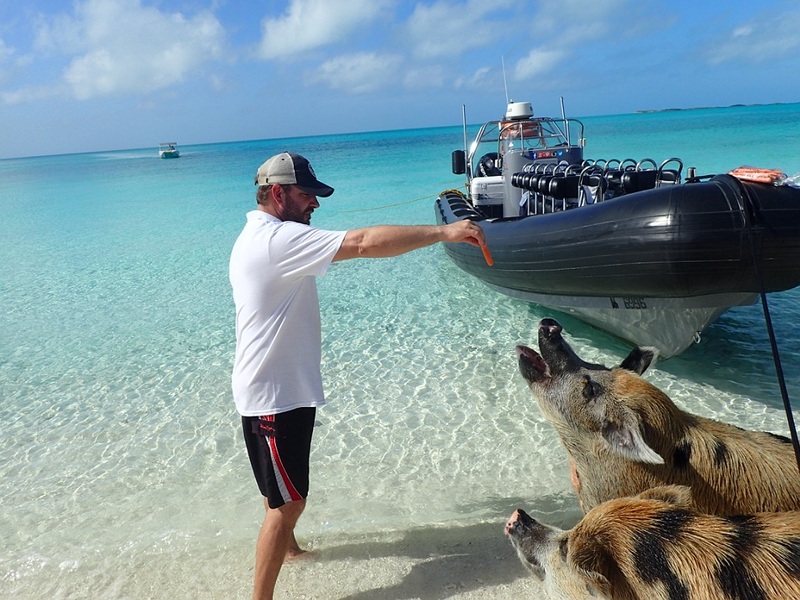 Afterwards, the amazing Staniel Cay Yacht Club will whip us up some lunch, and sometimes weâll see their frequent nurse shark visitors and sting ray friends. Lunch is included in the trip price and food options will be presented at booking. 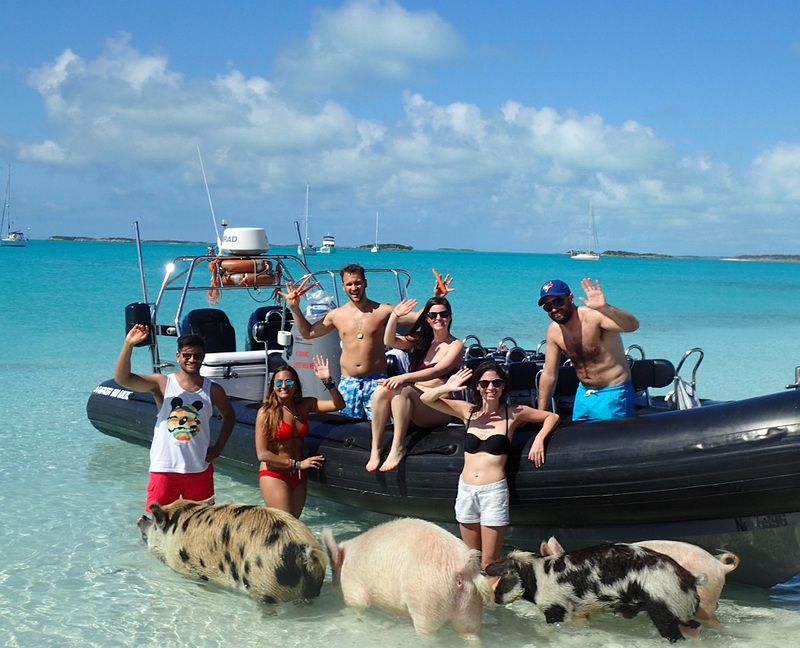 The day continues by returning to the Northern Exuma Cays, with a brief stop at a beach or sandbank. The last leg takes you back to Nassau, where the sun setting over the capital of the Bahamas welcomes you back to Nassau Harbour! Each journey between stops is just over an hour on the unique saddle-style seats of our 900 Baltic Parker RIB. Bottled water and lunch voucher is included.